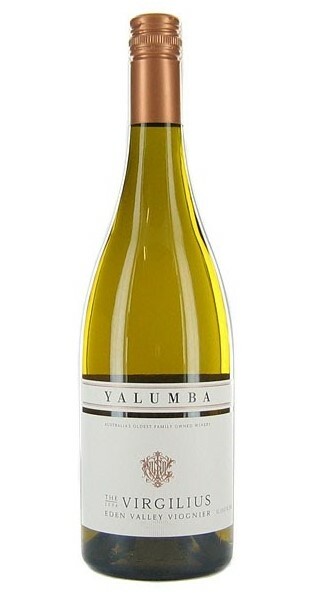 The Virgilius is Yalumba’s most distinguished Viognier – a wine that shows power with restraint. 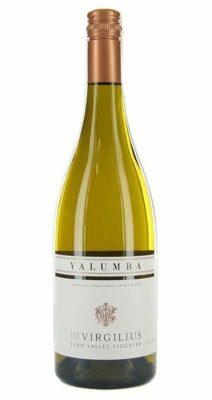 As Yalumba’s most premium and enchanting white wine, it is loved by wine lovers looking for something beyond the more conventional offering. The nose has intense aromas of early season just picked apricots, cardamom, white pepper and fresh ginger. Lifted ginger spice is layered on the palate with mineral sourdough like texture and complex apricots and almond savouriness. The trademark Viognier lusciousness of the palate is clearly evident in this wine. It is complex while at the same time showing purity and restraint that will unwind slowly in the glass and take the imbiber on a sensory journey. At its best with food, The Virgilius complements a wide range of flavors, particularly dishes with spice and rich flavors. Try with poached pike perch; grilled sirloin and chips; beef rendang; pan fried herb stuffed mushrooms; or fresh gnocchi with olive oil and shaved truffles. The Virgilius, while showing all the virtues of great Viognier as a young wine, will reward cellaring as it evolves in the bottle, with even more layers of flavor and aroma.